YouTube, Google’s best video sharing platform where people are consuming 100 million hours of content. YouTube come up with new monetisation policies will affect and flush out the low-quality channels on YouTube. It has become YouTube Creators Nightmare. These new monetisation policies affect not only the new users but also effects the existing YouTube channel users and marketers. Content creators no longer able to profit from their videos unless and until your channel hit 10,000 total channel views. YouTube planning to flush out all the impersonators, spammers and other lousy channel creators with their new eligibility monetisation policies. YouTube announced three significant changes in their monetization rules to determine which YouTube channel can run ads to earn money. YouTube announced significant updates to both YouTube Platform Program and Google Preferred. These changes will be a nightmare for new and upcoming YouTube Creators. As the advertisers ran out of YouTube platform due to some ad glitches. YouTube is applying these changes to control and reduce these glitches. 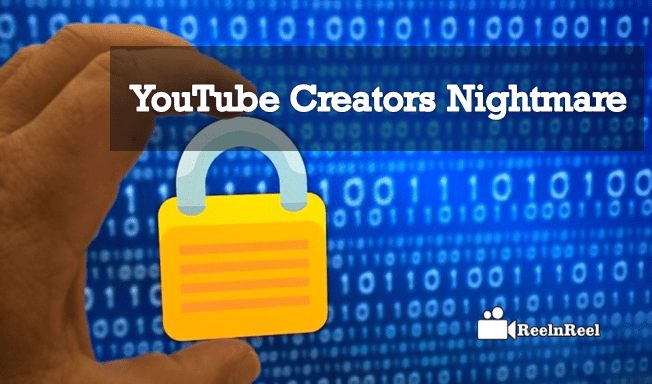 YouTube is trying to safeguard the platform by controlling YouTube Budding Creators and Stars. If these changes are happened to the platform becoming a YouTube Creator is the nightmare. New Creators will lose interest in the platform. New creators only can build a platform by innovative thoughts and ideas. If they restrict how a new creator can experiment. It is the right sign for advertisers that YouTube’s brand-safety is getting better. But its a bad sign for creator community. Better give an option for small creators by accepting the outbound link to external campaigns on Patreon, Kickstarter, and other websites. YouTube’s decision to make it harder to monetize Channel videos is hurting the community. New budding creators will look for alternative income sources like working with OTT platforms for better revenues. As per the YouTube Partner Program the channel should maintain 10,000 total channel views has right to run the ads on YouTube. Instead of purely depending on Views, this time they considered audience engagement, creators behavior, and channel size as major considerations to run ads. As per the new eligibility criteria, the existing YouTube channels/creators with less than 1000 subscribers and 4000 hours of watch time maintained from past 12 months are eligible for YouTube partners program(YPP). These rules are implemented for the existing YouTube channels starting from 20th February 2018. The new and existing channels should maintain the new monetization policies and meet their requirements. Altogether 30 days grace period is given to the existing channels/creators to meet YouTube new monetization rules. Afterwards, the channels which do not have 1000 subscribers and 4000 hours of watch time will be no longer able to earn money from YouTube. The channel size is not only considered for eligibility criteria reviewing the comments, community strikes, and abuse flags also hit the new policies. Any channel which is aggressively violating community guidelines that channel removed from the YouTube Partners Program. At the same, if your YouTube channel has issued three times strikes from the community that channel wholly removed from YouTube Platform. These YouTube new policies will affect the significant number of channels eligible to run the ads. The new monetization policies affect more on content creators, marketers and advertisers to run their ads on YouTube. These changes will help many of them to maintain better and right YouTube channels to run ads. The above is a complete guide to know and manage new monetization policies on YouTube channel and to overcome YouTube Creators Nightmare.